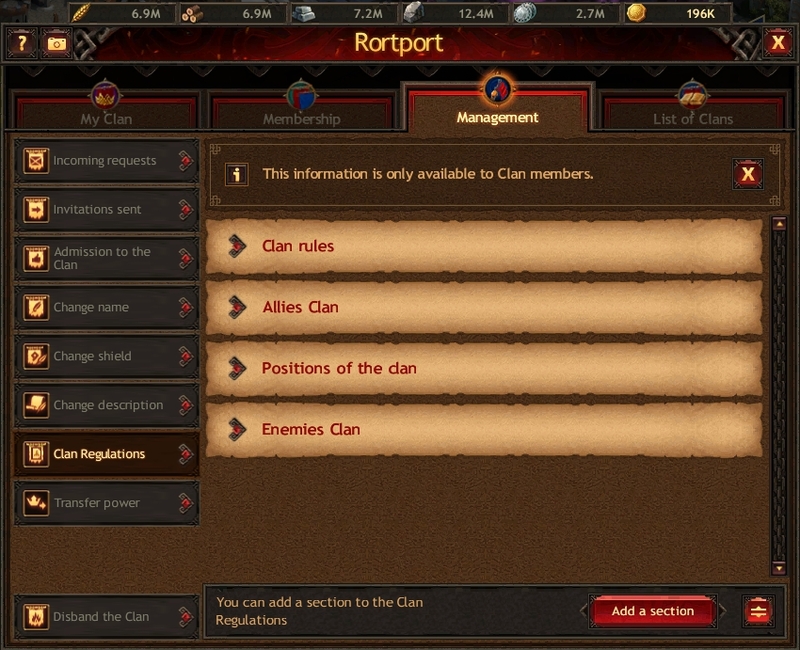 Clan Regulations are the rules and regulations Clan members must adhere to. Only Clan members can access these regulations. 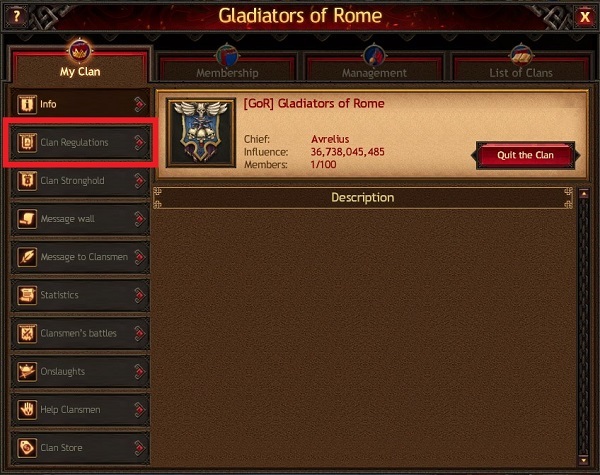 The Chief has the freedom to place the information they believe to be necessary in the Clan Regulations, Management tab. There can be up to 10 sections, each of which contains specific information, such as info about the Clan's laws, strategy, clansmen's participation in Competitions, the requirements to gain titles, and much more. All the Clan members get a system notification if the regulations are altered.